When Sol persuades almost all of ShadowClan to give up belief in StarClan, Tawnypelt takes her kits Flamepaw, Tigerpaw, and Dawnpaw to ThunderClan, hoping to find refuge there, stating that she and her kits did not want to be part of a Clan that does not believe in StarClan. 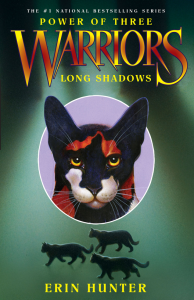 In hope of helping ShadowClan, Raggedstar and Runningnose beg Jaypaw to help. Jaypaw, along with Tigerpaw, Flamepaw, Dawnpaw, Hollyleaf and Lionblaze, creates a fake sign from StarClan to show Blackstar StarClan is real. Blackstar is not convinced until the fake sign turns real when Raggedstar and Runningnose come to tell Blackstar to get rid of Sol and to still believe in StarClan. Blackstar is convinced and tells his Clan.